Being born blind is a sad life in many ways. On the first level, there is no knowledge of what the world looks like so they never know what they are missing. There is no reference point to use if someone describes what he or she sees. A person born blind is not as handicap for the same reason because their world has always been in darkness. The greatest tragedy is the blind cannot see the beauty of God’s creation. There are many reasons why a child can be born blind and this would be especially difficult in the Bible times. Not understanding the science of blindness, people were treated harshly. While in Jerusalem Jesus and His disciples came upon a man born blind from birth. The disciples used the poor man as an object lesson to inquire who was to blame for his condition. Always the teacher, the Lord took the opportunity to show His power among His disciples and healed the blind man; anointing the eyes with clay and saliva and telling the man to wash in the pool of Siloam. To the amazing joy of the man, he came back seeing. It is wonderful to consider what he thought of as he first viewed the world with his new eyes. There can be little doubt the first person he wanted to talk to was the voice that healed him. To his disappointment, the man called Jesus had left. The first hours of his new life were very hard. He was taken before the Pharisees and grilled about his healing. His parents were brought in to confirm he had been blind. Finding no satisfaction to their questions, they cast the former blind man out of the synagogue. This must have been a horrible day for the man. He had been blind from birth. A stranger named Jesus had healed him of the impossibility. The first few hours of his sight-seeing life had been filled with anger and hatred. He may have wished he had his blindness back so he would not see the angry faces of the Pharisees. The Jewish leaders had ridiculed him and cast him out of the synagogue. How humiliating and sad he must have felt. Little did he know someone was coming to see him. Jesus heard what happened to the man and here is where the story takes a powerful turn. The Lord came looking for him. Of all the people in the whole of the city, Jesus was looking for one man. Because Jesus had left before the blind returned from the pool of Siloam, he did not know what Jesus looked like. 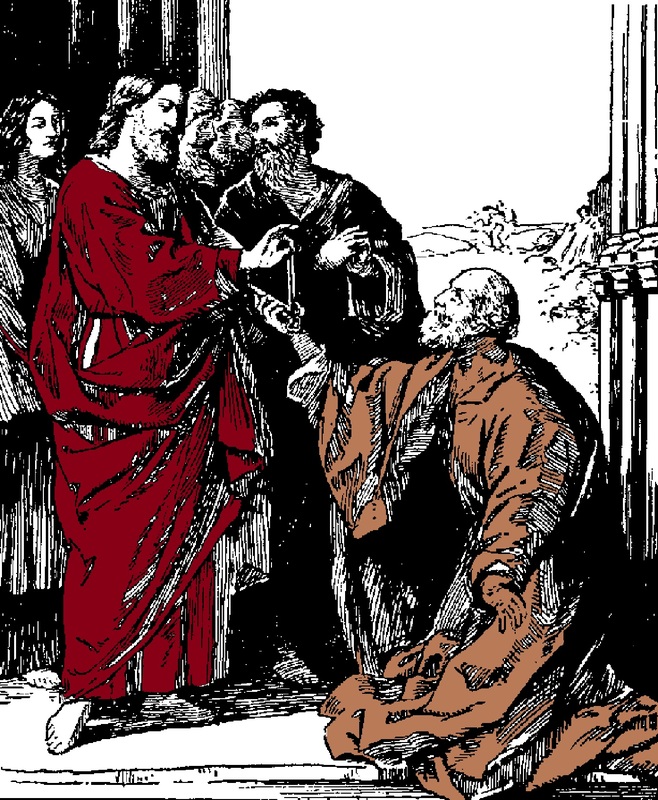 In a moment of great emotional relief, the blind man looked into the eyes of Jesus and saw his savior. Jesus came for him. Jesus came looking for one man and he was the one. What a joy to speak to the one who saved him. “Lord I believe,” he proclaimed and he worshipped Jesus. This story is the revelation of God’s Son. I am blind but now I see. The sweat and tears of my Lord was mixed with blood and He anointed my eyes with His grace so that I can see His love. At the cross, Jesus bathed my life with the waters of life. He anointed me with His mercy to take away the darkness of my sin. He came for me. He came for you. His life will give you sight to see what cannot be seen without His power. We need to proclaim, “Lord I believe” and we must worship to one who gave us sight. He came to find us and to save us. Thank you Lord.